Born in an interwar council house in Grove Hill Middlesbrough on 21st March 1935, he started with Billingham Synthonia and Great Broughton Juniors before doing his National Service in the RAF from 1953 to 1955. He joined Middlesbrough on 1st May 1953 but did not make the first team until after completing his National Service, playing nine games and scoring three goals in the latter part of the 1955-56 season. He became a first team regular and a prolific striker for Middlesbrough, scoring one hundred and ninety-seven goals in two hundred and thirteen League games. He then signed for Sunderland, on 1st July 1961, and had scored fifty-four goals in sixty-one League games, before, on 26th December 1962, he injured his knee during a match against Bury after colliding with the goalkeeper. It turned out to be a cruciate ligament injury, which usually ended a player's career at that time. Clough returned two years later but could only manage three games before retiring. He had played twice for England, against Wales on 17th October 1959 and Sweden on 28th October 1959, without scoring. He also represented his country three times at Under-Twenty-three level as well as playing for the 'B' team and the Football League on two occasions. Clough became a Manager starting at Fourth Division Hartlepools United, with Peter Taylor as his Assistant Manager, from October 1965. Clough, being only thirty, was then the youngest Manager in the Football League. They guided Hartlepools to a finish of eighth in their first full season, before they both joined Second Division Derby County as Manager and Assistant Manager in May 1967. Derby, up to Clough's arrival, had been frequently involved in relegation battles in the Second Division. Clough brought in several new players,amongst them Roy McFarland, John O'Hare, John McGovern, Alan Hinton and Les Green. Eleven players departed and only four were retained: Kevin Hector, Alan Durban, Ron Webster and Colin Boulton. Clough also fired the club secretary, the groundsman and the chief scout along with two tea ladies he caught laughing after a Derby defeat. In 1968, Derby finished eighteenth, but after signing Dave Mackay and Willie Carlin, Clough and Taylor's management led Derby to become champions of Division Two a year later. Clough was universally seen as a hard but fair Manager, who insisted on clean play from his players and brooked no stupid questions with the press. He was famous for insisting on being called 'Mr Clough' and earned great respect from his peers for his ability to turn a game to his and his team's advantage. He took Derby to fourth place in Division One in 1970 but due to financial irregularities, the club were banned from Europe that season and fined �,000. During the 1971� season, Derby tussled with Liverpool and Leeds United for the title. Leading the table by one point having played their last match, having beaten Liverpool 1� Peter Taylor took his players on holiday to Spain, where they learned that both title rivals had failed to win their final matches, meaning that Derby became champions for the first time in their history. Clough was not with them at the time. He was in the Isles of Scilly with his family and parents when he learned Derby were champions, on the evening of 8th May 1972. The following season Derby reached the Semi-Finals of the European Cup, but were knocked out by Juventus 3�on aggregate in very controversial circumstances. It later emerged that the West German referee had received gifts from the Italian side before the match. Clough himself accused the Juventus team of being "cheating bastards" and then questioned the Italian nation's courage in the Second World War. Clough's frequent outspoken comments against football's establishment, such as the FA and club directors, and figures in the game such as Sir Matt Busby, Sir Alf Ramsey, Don Revie and Alan Hardaker eventually led to him falling out with Rams chairman, Sam Longson, and the board of directors at the club. Clough and Taylor both resigned on 15th October 1973, to widespread uproar from Rams fans, who demanded the board's resignation along with Clough and Taylor's reinstatement at the following home game against Leicester City five days later. Such was the loyalty to Clough that along with himself and Taylor, scouts and backroom staff completed the walk out, following the pair for their brief spell with Brighton & Hove Albion. He was on a five year contract at �,000 per year. He proved less successful on the South Coast than with his previous club, winning only twelve of his thirty-two games in charge of the Division Three side. Whereas eight months earlier Clough was managing a team playing Juventus in the European Cup, he was now managing a club who, just after his appointment as Manager, lost to Walton & Hersham 4�at home in an FA Cup replay. Albion eventually finished in nineteenth place that season. Clough left less than a year after his appointment to become Manager of Leeds United following Don Revie's departure to become the Manager of England. This time Taylor did not join him. Clough's move was surprising given his previous outspoken criticism of both Revie, for whom Clough made no secret of his deep disdain, and the successful Leeds team's playing style, which Clough was on record as stating to be not only overly aggressive but also effectively illegal in his opinion. He faced the huge task of breaking up and replacing the ageing Leeds team that had been so successful for so long. He was also aware that Johnny Giles had been put forward by Don Revie as the man most suited to replace himself. He lasted in the job only forty-four days before he was sacked by the Leeds' directors after alienating many of Leeds's star players, notably Johnny Giles, Norman Hunter and Billy Bremner. He has the unenviable record of being Leeds United's least successful permanent Manager winning only one match from six games. Leeds were placed fourth from bottom with only four points points from a possible twelve, their worst start in fifteen years. He took the appointment on 31st July 1974, brought Jimmy Gordon along as his trainer, quickly signed the charismatic but largely unproven Duncan McKenzie from Nottingham Forest for �0,000 and led out the Leeds team at Wembley for the annual Charity Shield match between Leeds, as League Champions, and Liverpool, as FA Cup winners, on 10th August 1974. The United team was: Harvey; Reaney, Cherry; Bremner, McQueen, Hunter; Lorimer, Clarke (sub McKenzie), Jordan, Giles, Eddie Gray. His discomfort was plain to see and with the dual sending off of his Captain and inspirational leader Billy Bremner and Kevin Keegan the day was the first of many diasasters and embarrassments soon to ensue. Following Bremner's long sentence by the FA it meant that he would be without his services for eleven games and in fact Bremner only played at Stoke City on 17th August 1974 in the opening League fixture, which was lost 3-0, during Clough's time with the club. Clough was also not best pleased that he had inherited a team lacking the services of Norman Hunter and Allan Clarke, who both missed the opening fixture and also the first home game of the season, on 21st August 1974, against Queens Park Rangers, which was also lost, by 1-0, due to suspension. To find his team bottom of the League with no points and no goals scored and four goals conceded, should have been a dent to his pride as he had fourteen full internationals at his disposal, which excluded the injured Mick Jones and Eddie Gray. The team of Harvey; Reaney, Cooper; Bremner/Bates, McQueen, Cherry; Lorimer, Madeley, Jordan, Giles and McKenzie should have been good enough to do much better and thankfully the return of Hunter and Clarke and the introduction of two of Clough's ex-Derby reliables, John McGovern and John O'Hare, who were signed for a total of �5,000, was enough for United to gain their first points of the season with a one-nil home win over Birmingham City on 24th August 1974 courtesy of a strike from Allan Clarke. Terry Yorath was introduced for his first game of the season and his goal was enough to gain a point in the return fixture at Loftus Road against Queens Park Rangers on 27th August 1974. Although Allan Clarke was on the scoresheet again it did not stop another loss, this time at Maine Road on 31st August 1974 where Manchester City took the points with a 2-1 win. On 7th September 1974 lowly Luton Town were the visitors to Elland Road and, although Allan Clarke scored, United could only manage a disappointing draw and were nineteenth in the table with just four points after six games. Peter Lorimer was on the mark as United were held 1-1 in the Second Round of the League Cup by Second Division Huddersfield Town at Leeds Road on 10th September 1974. On the following Thursday 12th September 1974, the Chairman of the Directors, Manny Cussins, detecting a great deal of unrest and apprehension from the players at a meeting with them, called a special board meeting and it was agreed that the club would part company with Clough. The press reported that'player power' was behind the dismissal but Cussins said it was for 'the good of the club'. Clough commented 'I think it is a very sad day for Leeds and for football'. However, he left the club an extremely wealthy man as his pay-off was estimated at �,000, a huge amount at the time. Clough told ITV Calendar his short reign at Elland Road was due to bad results. The story of his short spell in charge was adapted into a film called 'The Damned United' for release in 2009, based on a book of the same name. On 6th January 1975, Clough made a quick return to management with Nottingham Forest, who at the time were an unremarkable Second Division club, where he replaced Allan Brown. 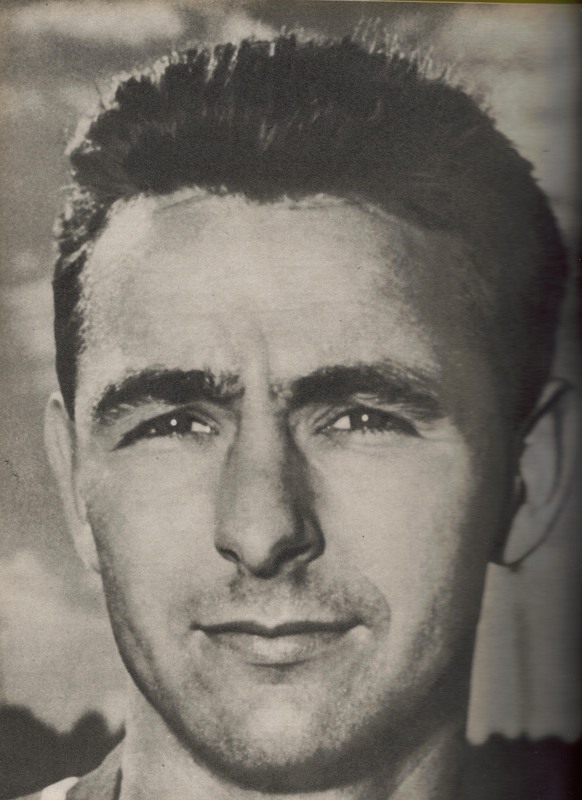 Clough's first game in charge was the Third Round FA Cup replay against Tottenham Hotspur, a 1-0 victory thanks to a goal by Scottish Centre Forward Neil Martin. In July 1976 Clough was joined by his old assistant Peter Taylor from Brighton. They transformed the club's fortunes rapidly: the first success at the club came in Clough's second full season (1976�) when they won promotion to Division One, finishing third. In their first season after promotion they won the League Cup, beating Liverpool 1�in a replay at Old Trafford, and were crowned Champions of Division One, finishing seven points clear of nearest challengers Liverpool. This made Clough the first Manager since Herbert Chapman to win the English League Championship with two different clubs. However he failed in his ambition to manage the national side, being turned down for the England job in 1977. During the 1978� season, on 9th February 1979 Clough signed the Twenty-four-year-old Birmingham City striker Trevor Francis Britain's first �million footballer, although Clough insisted that the fee was actually �9,999. Forest retained the League Cup with a 3-2 victory over Southampton, but finished as runners-up to Liverpool in the League. The season was rounded off with victory in the European Cup final, thanks to a 1�victory over Malmo FF. A year later, Clough guided Forest to a second successive European Cup after victory over Kevin Keegan's Hamburg and a third successive League Cup final, although this time they were defeated by Wolverhampton Wanderers 1� Despite winning the European Cup twice, Clough regarded his greatest achievement to be the record breaking unbeaten run his team set between 26th November 1977 and 9th December 1978, the team went undefeated for forty-two league games, the equivalent of a whole season. The record stood until August 2004 when it was bettered by Arsenal, who went on to play forty-nine League games without defeat. It was not until 1988� that Clough and Forest would enjoy another major trophy success, this time over Luton Town in the League Cup again. For a time, Forest were on course for a treble that season, but ultimately had to settle for third place in the League and a defeat in the FA Cup Semi-Finals. Clough had to manage the team from the stands in the latter half of the season as he was serving a touchline ban after hitting a supporter who had invaded the pitch. A year later, Clough guided Forest to another League Cup victory with a 1�triumph over Oldham Athletic. In 1991 Forest reached their first FA Cup final under Brian Clough but lost 2�to Tottenham Hotspur. They reached the League Cup final again in 1992, but lost 1� to Manchester United. The 1992� season was Clough's eighteenth with Forest, and his last. They were one of the twenty-two clubs in the new Premier League, but the sale of key players like Teddy Sheringham and Des Walker, combined with the Manager's increasingly uncontrolled alcoholism, saw the club's fortunes take a sharp decline and they were bottom virtually all season. Just before a 2�defeat against Sheffield United confirmed the club's relegation after sixteen years in the top flight, Clough announced his retirement as Manager in May 1993 to be succeeded by then Leyton Orient manager, and European Cup-winning Forest player under Clough, Frank Clark. Clark was able to achieve an instant return to the Premiership when the club finished Division One runners-up at the end of the 1993-94 season. Much of Clough's retirement was spent concentrating on his fight against alcoholism which had plagued him since the 1970s. He considered applying for the job as manager of Wolverhampton Wanderers on the resignation of Graham Taylor in October 1995. However, nothing came of it and Clough's managerial career was over. Nottingham Forest honoured him by renaming the City Ground's largest stand, the Executive Stand, the Brian Clough Stand. Clough was made an inaugural inductee of the English Football Hall of Fame in 2002 in recognition of his huge impact as a Manager. In the early 1990s, Clough was implicated in the "bungs" scandal in English football involving then Tottenham Hotspur manager Terry Venables and chairman Alan Sugar and particularly the transfer of Teddy Sheringham from Forest to Tottenham. Clough was alleged to have received illegal payments during transfer negotiations and making illegal payments to players. Owing to Clough's declining health when the case was put together, he was never formally charged by the FA. He was given the freedom of Nottingham and on receiving the recognition he acknowledged his debt to Peter Taylor. He also paid tribute to him, in September 1999 when a bust was unveiled of himself at the City Ground. Clough was never successful as a Manager without Peter Taylor. In January 2003, the sixty-seven-year-old Clough underwent a liver transplant. Thirty years of heavy drinking had taken its toll and doctors said that Clough would have died within two weeks without a transplant, as his liver was severely damaged and cancer had been found within it. The transplant gave Clough a new lease of life for the next twenty months and he took up light exercise again and appeared happier than he had for many years. Brian Clough died of stomach cancer on 20th September 2004, in Derby City Hospital, at the age of sixty-nine, having been admitted a few days earlier. Such was his popularity, fans of Derby County and Nottingham Forest, usually the fiercest of rivals, mourned together following his passing. A memorial service was held at Derby's Pride Park Stadium on 21st October 2004 which was attended by more than 14,000 people. It was originally to be held at Derby Cathedral, but had to be moved due to demand for tickets. Brian Clough spent just forty-four days as manager of Leeds United in 1974. He succeeded Don Revie who had led the club to the League Championship the previous season before becoming England manager. Much has been said about what happened - but for the truth we look to Cloughie's own words. Cloughie said he wanted to manage Leeds so he could try to win the European Cup - something he had missed-out on at Derby County. Leeds had already qualified for the competition as league champions. "Did I say the European Cup? I hardly lasted long enough to be given my own teacup at Leeds," Cloughie said in his first autobiography in 1994 (Partridge Press). Before arriving at Elland Road on July 31st, 1974, Cloughie had made it clear he didn't like the way Leeds played football and often criticised their players. "Leeds had been the dirtiest and most cynical team in the country in the late Sixties and early Seventies, and from my soap-box as manager of Derby and the best pundit on television I had said so on numerous occasions." Cloughie felt Leeds' cynicism devalued the marvellous football they produced. But it meant the players were wary of him when he arrived as their boss. "Little did I realise the extent of the dislike and resentment - if not downright hatred - waiting for me at Elland Road." He repeated the criticisms when he met the players face-to-face. Later, he admitted he failed to win their confidence or support. Feeling that Leeds were not really 'his team,' Cloughie phoned Don Revie and asked if he would like to lead the players out for the 1974 Charity Shield match at Wembley. Revie declined, so it was Brian who walked out ahead of the players, along-side Bill Shankly whose Liverpool team had won the FA Cup. Looking back, Cloughie admitted that he tried to make changes at Leeds too quickly. He said he had inherited an ageing team - "a side on its last legs." There were several contracts that needed negotiating and the players were concerned about their futures. Don Revie had recommended Johnny Giles to be his successor, but Clough says he didn't get the chance to know Giles and only wished he had been able to do so. He felt Giles may have become his new Peter Taylor - his right-hand man who had shared the success at Derby and would do so again at Nottingham Forest. "Reflection tells me that the biggest mistake of all was my eagerness to accept the job in the first place," Clough says in his second autobiography in 2002 (Walking on Water, Headline Publishing). "Leeds weren't for me and I wasn't for them." In an ITV documentary (March 2009) Johnny Giles commented: "Brian Clough's attitude to football was the direct opposite of the attitude at Leeds at that time. It was a clash which neither of us could understand." Leeds under Clough lost the first league match 3-0 and things went from bad to worse, with just four points from six league games. Just seven weeks after arriving at Elland Road, Clough was sacked - but ensured his contract was fully paid-up. That meant he received a pay-off of around �0,000. For the first time in his life, Cloughie was financially secure. "In denting my ego and showing me the door, Leeds United did me the biggest favour of my professional life." The financial security meant Cloughie was still smiling - and could take on any job without fear of the consequences. The Leeds money allowed him to pay off his mortgage and move to a larger house in the country. Just hours after being sacked, Cloughie appeared on a live television programme, alongside his Leeds predecessor, Don Revie, who had become England manager. It was a Yorkshire TV Calender Special. At one point in the programme, Revie asked Clough why he had taken the job when he been openly critical of them. "Because it was the best job in the country," replied Clough. "I was taking over the league champions. I wanted to have a crack at the European Cup and win it. I wanted to do something you hadn't done." At the end of the programme, the interviewer Austin Mitchell asks Clough where he goes from there - after his resignation at Derby and disappointment at Brighton. "Aren't you in a difficult position, after the argument at Derby, you left Brighton under a cloud and now this with Leeds. Who's going to touch you with a barge-pole?" Thankfully, Nottingham Forest had the largest barge-pole available and pulled the Master Manager into the most successful job of his amazing career. Brian Clough was perhaps the most charismatic football manager this country has produced. He was also one of the most successful, winning a total of 12 major trophies with the previously unfashionable Derby County and Nottingham Forest, both of whom he elevated from the second division to the League championship. He was one of only two managers to have won the old English first division title with different clubs, the other being Herbert Chapman with Huddersfield and Arsenal. In addition, Clough led Forest to victory in the European Cup in 1979 and 1980. However, it was the manner of Clough抯 success which made him one of the most instantly recognisable figures in the land and a gift to mimics because of his distinctive nasal tone and strident manner. He was possessed of the ego, the innate genius for manipulative psychology and the public relations skill of a Muhammad Ali. Clough抯 achievements rested partly on the sheer force of a personality which fascinated and often intimidated his players and the media alike. He revelled in his nickname of 揙ld Big 扙ad�. As he once said about dealing with a player who disagreed with his views: 揥e talk about it for 20 minutes and then we decide I was right.� The public generally loved his willingness to assail any authority, and even when they did not, they consumed it voraciously. Clough earned steadily from newspaper columns and television appearances. He was long-touted as the people抯 choice for England manager and at one stage he threatened to enter politics as a Labour candidate (being supported at various times by factions in the constituencies of Richmond, Loughborough and Stretford). Yet his bulldozing approach made him enemies and there were many who rejoiced when hubris overcame him. Clough抯 18-year reign as Forest manager ended with relegation from the Premiership, amid persistent allegations of alcoholism and accusations in the High Court that he liked to receive money illicitly from transferring players from Forest. A man of many contradictions, Clough was a lifelong socialist who wrote a column for The Sun and a money-hoarder who could also be extraordinarily generous. He once talked a suicidal man out of drowning himself in the River Trent by stopping his car and chatting to him about football until he calmed down. He was an anti-authoritarian extrovert, yet he turned out teams of such discipline that referees looked forward to officiating over their games for weeks. Clough despised hooligans, but was himself capable of behaving like one. After one Cup victory he waded into a crowd of exuberant Forest fans who had invaded the pitch and began to hit them systematically before an amazed television audience. A few days later, he invited the cameras to see him make peace with the fans he had assaulted, and made all of them kiss him. Clough抯 principal successes as a manager came with teams and individuals he could mould unchallenged. His approach was to break down their resistance through whatever technique was expedient. After he bought Trevor Francis for �million � a record at the time � he played the England striker in the Forest third team to let him know who was boss. He exerted a mesmerising effect on players. This he partly achieved through his unpredictability. He might suddenly order his team to run into a field of stinging nettles, and on one occasion asked a player whether he had ever been hit in the stomach, and on receiving a negative reply, dealt him a forceful blow, saying: 揧ou have now.� He had many players convinced he could make them look at him in the 揹ugout� at any point during a game through a mere act of will. However, when Clough tried the same dictatorial approach with seasoned international players at Leeds United, the result was a mutiny. Another key ingredient in Clough抯 success was his partnership with Peter Taylor. The two met as Middlesbrough players in the mid-1950s. Taylor, the club goalkeeper and six years the senior of the pair, became Clough抯 mentor, feeding his ego and touting him as a future England player. The two spent every spare moment together, developing a joint philosophy of the game and attempting to control how it was played at the club. When Clough went into management, at fourth division Hartlepools, he insisted that Taylor be appointed with him. This unusual arrangement flourished, with Clough specialising in publicity and man-management while Taylor concentrated on improving the team. The pair reproduced the formula at Derby, Brighton and Forest. But their relationship was soured by rows over money and Taylor walked out on Forest in 1982. The rift lasted until Taylor抯 death in 1990, and it was one of Clough抯 few regrets that there was no reconciliation. Many believed that Clough抯 passion for the game was never the same after the split. Clough was born and raised in Middlesbrough, the sixth of nine children, who slept three to a bed, head to toe. Having left school with no qualifications, he signed as an amateur for Middlesbrough, then in the old second division, at 16. He turned professional the following year. Clough had six seasons in the Middlesbrough first team before being transferred to their northeastern rivals, Sunderland, in 1961. He was one of the most effective goalscorers in the history of the English game. In his 274 League matches he scored 251 goals, giving him the best ratio of goals per game of any postwar player. Yet he only made two appearances for the national team. This was widely attributed to his alienating arrogance. He once infuriated the England manager Walter Winterbottom by demanding that he drop either Jimmy Greaves or Bobby Charlton. On Boxing Day 1962, Clough抯 playing career was virtually ended by a knee injury on a frozen pitch in a game against Bury, an incident which left him unable subsequently to bear the sight of an injured player. Suddenly deprived of his career, Clough fell into a depression from which he sought relief in alcohol. He was saved by the manager, George Hardwick, who had him qualify as an FA coach and take control of the Sunderland youth team. Clough took to the role with relish, but he had made enemies among the club抯 directors and was sacked as soon as they received the insurance payout for his injury. The drive and the anger which fuelled Clough抯 managerial career could be traced to the injury which ended his playing days. In 1965, after three months without work, Clough became the youngest manager in the league with Hartlepools United (as the team was known before it shed its plural). There he rediscovered his self-belief, learnt that he had the ability to inspire even mediocre players, and saw off his first antagonistic chairman after the latter had tried to sack Taylor. Clough also learnt to exploit his natural talent for showmanship to his club抯 and his own advantage. His two years at the club made enough impact for him to be offered the manager抯 job at Derby County. Clough and Taylor led Derby to the second division title in 1969, with a team comprised of shrewdly bought younger players mixed with inspirationally rehabilitated older ones. Of all his managerial achievements, this gave Clough the most pleasure, although greater triumphs were to follow. Within three years of their promotion, Derby were League champions. Yet the following season, with the footballing world seemingly at their feet, Clough and Taylor walked out on Derby after an attempt by the club chairman to curtail Clough抯 media commitments. After a brief spell at Brighton, dominated by Clough抯 attempts to have himself reinstated at his previous club, he was offered the managership of Leeds United, at that time the dominant team in the country. Clough got off to a disastrous start, telling his new players that they could throw away their considerable collections of medals, as they had won them all by cheating. He was sacked after only 44 days in the job, although not before negotiating a substantial payoff. Clough followed one of the shortest reigns as a league manager with one of the longest. In January 1975, he was appointed to Nottingham Forest. Within six months he was reunited with Taylor, who had remained at Brighton in the interim, and the pair, revitalised by a fresh challenge, set about surpassing what they had achieved at Derby, following up the League Championship of 1978 with successive European Cup victories. These triumphs were the zenith of Clough抯 career. Although he continued to have modest success with Forest after Taylor抯 departure, winning two League Cups, his later years were dominated by him becoming increasingly eccentric, such as when he refused to talk to his players at the 1991 FA Cup Final before extra time. Forest, including his son Nigel, who appeared 14 times for England, lost the match � and the one trophy that eluded Clough. His departure in 1993 was soured by the allegations of one of the Forest chairmen that Clough had twice almost died through drink. Clough himself said of his status: 揥alk on water? I know most people out there will be saying that instead of walking on it, I should have taken more of it with my drinks. They are absolutely right.� At the same time he was accused of having demanded personal payments for the sale of Forest players and of ticket-touting. Clough defended himself against these attacks with characteristic vigour. In retirement he was widely portrayed as a ravaged alcoholic. He had a liver transplant in January and had been suffering from stomach cancer for some while. Asked how he wanted to be remembered, he once said: 揑 want no epitaphs of profound history and all that type of thing. I contributed. I would hope they would say that and I would hope somebody liked me.� Brian Clough, footballer and manager, was born on March 21, 1935. He died on September 20, 2004, aged 69. A prolific but unlucky centre-forward, who became a triumphant but star-crossed manager, Brian Clough, who has died of stomach cancer aged 69, was, in some sense, the victim of his own public image. He was a mixture of arrogance and initiative, bombast and generosity, intransigence and self-doubt. He scored 204 second division goals in 222 games for Middlesbrough, yet won only a couple of England caps, against Wales and Sweden in 1959. As a manager, he transformed Derby County into a championship-winning team, won the European Cup twice with Nottingham Forest, yet failed both at Brighton and Leeds, and never achieved the managership of England he so coveted. Through almost the whole of Clough's career runs the theme of his collaboration with Peter Taylor. When Clough went back to his local club, Middlesbrough, after RAF service, he was scarcely a third choice centre-forward. It was Taylor, a reserve goalkeeper, who saw his potential, trumpeted his virtues, and promoted his career, with Clough's league debut coming against Barnsley in 1955. When that career came to a bitter end on Boxing Day 1962, playing for Sunderland, for whom he had signed in 1961, it was with Taylor that Clough begin his remarkable career in management. He was only 27 when a collision with Bury's goalkeeper tore a cruciate ligament beyond repair. When George Hardwick, another ex-Middlesbrough player and an ex-England captain, made him youth coach, Clough's misery was partly assuaged. But the directors would not have him. He was dismissed, drank heavily, despaired - only to find himself, in 1965, manager of nearby Hartlepool. Taylor agreed to leave his job as Burton Albion manager to assist him. Between them, the two men breathed life into a club forever on the verge of extinction, and, in 1967, were appointed to run Derby County, then in the Second Division. Showing enormous flair in the transfer market - acquiring for small fees such future stars as Roy McFarland and Archie Gemmill - the two transformed Derby as well. In 1972, they won the championship. But the relationship steadily deteriorated across the years until, like some impossible marriage, it degenerated into implacable hostility, still unresolved at the time of Taylor's death in 1990. Taylor was enraged when he found Clough had been given a �000 salary increase without telling him; and things would never be the same. In October 1973, after Clough had taken Derby to the semi-finals of the European Cup, he and a competitive chairman, Sam Longson, fell out irreparably, Clough and Taylor resigned, and, despite impassioned protest meetings in the town, would not find a way back. Taylor alone returned to the Baseball Ground in 1984 as manager, and clashed violently with Clough again when he signed Nottingham Forest's outside-left, John Robertson, without telling him. The two of them revolutionised Forest as they had Derby. But not before they had utterly failed, from November 1973, to do the same for the Third Division club Brighton and Hove Albion, where Clough's attempt to bully limited players to perform like stars brought disastrous results. Surprisingly, in July 1974 he was engaged to manage Leeds United, whose players he had publicly condemned as cheats in the past, and who fully reciprocated his antagonism. Clough lasted only 44 days, and emerged from the ordeal a demoralised man. However, in January 1975 he became manager of Derby's eternal rivals, Nottingham Forest, and in the summer of 1976, when Taylor resigned as mana- ger of Brighton, he joined Clough. Only then did things begin to move. Showing their old flair for signing players, they took Forest out of the Second Division in 1977, won the championship in 1978, and the European Cup in 1979 and 1980. This was an astonishing achievement with a club that had won nothing of consequence since the FA Cup in 1959. That particular domestic trophy eluded Clough - Tottenham beat Forest in the 1991 final - but league cup victories came in 1978, 1979, 1989 and 1990. Clough's methods were unique. He was essentially a dictator, and not always a benevolent one. "Have you ever been punched in the stomach, young man?" he once asked a centre-forward, Nigel Jenson, in the dressing room. When the answer was no, Clough suited the action to the word, remarking, "Well, now you have." After Forest supporters invaded the pitch at the end of a tumultous league cup quarter-final victory over Queen's Park Rangers in February 1989, Clough took the field himself and struck several fans; he was fined �000 for bringing the game into disrepute, and banned from the touchline of all football league grounds for the rest of the season. When Everton's players, disappointed by losing a league cup match to a very controversial goal, despoiled their dressing room, Clough, knowing they were due back in three days for a league match, told the cleaners to leave it as it was. Which was how Everton found it on the following Saturday. After Derby had lost a European Cup semi-final game against Juventus in Turin in April 1973, Clough emerged from the dressing room and told the expectant Italian reporters, "No cheating bastards do I talk to. I will not talk to any cheating bastards. " He shut the dressing-room door, re-emerged and instructed me to "Tell them what I said, Brian!" Clough was born in Middlesbrough, the sixth of nine children, of whom the first, a girl, had died at the age of four. His father, Joe, wounded in the first world war, worked at various times for nearby ICI and in a sweet factory. His resilient mother, Sally, was extremely close to him, and was reportedly "fanatical" about football. In later years, Clough would always be a professed socialist, once parking his Mercedes outside a church hall in Nottingham before giving an emotional speech supporting the Labour candidate in the 1979 election, Phillip Whitehead. Clough married his wife, Barbara Glasgow, a close neighbour, while still playing for Middlesbrough. Of their three children, Simon, Nigel and Libby, it was Nigel who followed Brian into football. A boisterous child who developed into a quiet, calm young man, a gifted centre-forward in a far less robust, more inventive, style than his father's, long the fulcrum of the Forest attack, he later played with Liverpool and Manchester City. Brian, not often to be found at the training pitch - but always influential when he was there - was given to late, inspirational appearances in pre-match dressing-rooms. On April 26 1993, 58 years old, in charge of Forest for the past 18 years, he finally retired. The team faced relegation, and he himself no longer had the same resilient hubris. But he had worked wonders at the City Ground. In January 2003, his years of heavy drinking caught up with him and he was obliged to undergo a liver trans- plant in a 10-hour operation carried out in Newcastle. Doctors had told him that without it he had only a few months to live. Clough said he was persuaded to have the operation when his grandson Stephen begged him to stop drinking. "Drink," Clough admitted, "became more important to me than the anguish I was creating for those I loved most." His wife and children survive him. Brian Clough was a controversial, larger-than-life figure and one of the last football managers to rule his club without consulting his chairman or his shareholders. Leading his teams to two League Championships and two European Cups were achievements considerable enough to earn him a place in the history of the game. His often outrageous pronouncements and eccentric behaviour made Clough the best-known manager in Britain, and fair game for impressionists on television and radio. Born in Middlesbrough, the sixth of eight children, he failed the eleven-plus examination, and left school at 15 for a job as a local clerk. A year later he signed for Middlesbrough FC, beginning what was to be a brief but successful career as a centre-forward. In 274 appearances for Middlesbrough and Sunderland he scored 251 goals, a post-war record, and was capped twice for England. But Clough's playing days ended on Boxing Day 1962 with a serious knee injury in a game playing for Sunderland against Bury. Beginning his managerial career with Fourth Division Hartlepool he was, at 30, the youngest manager in the Football League. After two successful seasons, he joined Derby County By this time, Clough was beginning to make his mark for his shrewd approach to management - and also his eccentric behaviour. His detractors found him arrogant and rude, but no-one could deny that his methods worked. Derby took the Second Division title in 1969 and the League Championship in 1972. I hope there is a football pitch in heaven for him as he lived for the game When a row with the directors forced his resignation a year later, there were protest marches in Derby. Two weeks later he joined Brighton, but stayed only nine months before being lured to Leeds United to begin one of British football's top jobs. His reputation for aggressive management soon got him into trouble, and he was sacked after only 44 days when the players mutinied. One reason I never became the England manager was because the FA thought I would take over and run the show. They were dead right Clough's next move, to Nottingham Forest in 1975, launched the most successful period of his career. The club won promotion from the Second Division in 1977, and went on to win two European Cup titles, a League Championship and the League Cup on four occasions. But the FA Cup eluded him. Nottingham Forest lost to Spurs in the 1991 final. He also failed in his ambition to manage the national side, being turned down for the England job in 1977. His outspoken comments continued to feed his reputation, but the public still loved him as one of the few instantly-recognisable football managers in Britain. He insisted on good behaviour by both players and supporters, and caused a stir during a 1989 game by chasing fans off the pitch and slapping one of them. By 1991 he was the longest-serving manager in the league. The recipient of an OBE in the Birthday Honours list, he responded typically with the comment that it stood for Old Big 'Ead. Two years later, after 18 years at Forest, Brian Clough retired. Heavy drinking had affected his health, and he was a shadow of his former self. His fragile health meant that he avoided FA disciplinary action over alleged illegal payments for players and retired to the Derbyshire hills. 'Cloughie' was a phenomenon. His abrasive manner alienated some of those colleagues closest to him. But he was a natural motivator who produced some of the most talented teams of recent years, and inspired sporting and managerial success. He was one of the familiar faces Brian Clough turned to for support during his nightmare spell as Leeds United boss. So who better than John McGovern to give a view on The Damned Utd, a film telling the story of Ol' Big 'Ead's 44-day reign at Elland Road? Leeds United sign up young Scottish star: Click here for full story. Elding leaves Leeds United for Crewe: Click here for full story. McGovern, signed by Clough from former club Derby County immediately after arriving at United in 1974, was back in Leeds yesterday for a coaching event at Horsforth's Trinity & All Saints College. And unlike some of his former Elland Road team-mates, the 58-year-old Scot is unfazed by the prospect of Cloughie's turbulent stay in West Yorkshire getting the big screen treatment. McGovern, who won two European Cups with Clough at Nottingham Forest after their respective departures from Leeds, told the YEP: "I'm looking forward to the film. "I was fortunate enough to be asked down on to the set and ended up meeting myself, or the actor playing me anyway. "They were filming a match situation and I told him to get a tackle in, which was probably what Clough would have said!" Due for release next year and based on Yorkshire author David Peace's novel of the same name, the 10m film has been criticised by some of United's legendary stars of the 1970s. They believe it won't provide a true account of Clough's ultimately-disastrous attempts to win over a dressing room still fiercely loyal to his predecessor Don Revie. Asked if Clough was always on a hiding to nothing with a team whose playing style he had repeatedly condemned, McGovern said: "I think he missed (right-hand man] Peter Taylor. "When you think about the success they had at Derby, it might have been different at Leeds had Peter been there. "It was a difficult situation for Clough. As soon as I arrived at the club, I knew it wasn't going to be easy. "There was an atmosphere that you could sense - and it didn't get any better!" McGovern was at Trinity & All Saints to give a talk to the annual get-together of coaches involved with the Leeds-based chain of Brazilian Soccer Schools. From a certain generation who recall his playing ability, to another who recount his somewhat unique managerial style, tales of Brian Clough will no doubt reach a new age who never knew this colourful character; a true legend of our game. Clough was a striker from the North-East and remains one of the most prolific forward that England has ever produced. He had an outstanding scoring record of 251 league goals from 274 starts and, to this day, he remains one of the Football League抯 highest ever goalscorers. 197 of his strikes came in 213 appearances for Middlesbrough before Sunderland signed him for �,000. Cloughie would go on to score 54 goals in 61 appearances for the Lads. During his career Clough would win only two England caps, both coming in 1959 as a Boro player. This seems so tragic for one so gifted, but perhaps this was the tale of his unfortunate playing career. At the age of 29, Clough was seriously injured whilst playing for Sunderland against Bury on Boxing Day 1962. Damaging his anterior cruciate ligament in a collision with the opposition goalkeeper, Clough would never fully recover. Cloughie described the injury, sustained on Boxing Day, in an interview with Ron Atkinson: Brian Clough couldn抰 leave football, though. Aged just thirty years old, he took the manager抯 job at Hartlepool United of the Fourth Division. Two years later, he抎 make the jump up two leagues to manage Derby County with his long-term assistant Peter Taylor, where he抎 start to turn his legendary status as a player in the North-East to an even greater legend as a manager in the Midlands. He led Derby to the Second Division Championship in his second season before winning the First Division three years later. In 1973, the year of our own great cup run, Clough took the Rams to the semi-finals of the European Cup. Drama was never far from Clough抯 side. A falling out with the Derby chairman saw Clough and Taylor make an eight-month switch to third division Brighton. Leeds United came knocking in 1974. Clough had long spoken out against Leeds, their players and most of all their manager - another former Sunderland forward, Don Revie. Clough lasted 44 days. For bad, as well as good, Cloughie was making himself a legend in the game. Nottingham Forest offered Clough a new job just a few months later. Back in the Midlands, Clough was to lead a team from the Second Division to promotion and, only twelve months later, he抎 make them Champions of England. He became only the fourth manager to win the First Division title with two teams. An even greater achievement was to follow. Clough won back-to-back European Cups, as Forest became Champions of Europe in 1979 and 1980. Cloughie had a uniqueness all his own. There are countless stories that are told about him. My grandfather once told me what a great striker and what a professional attitude he had. He had a presence on the field. He told me Clough once scored a first half hat-trick against Middlesbrough in a 3-3 draw. 揌e抎 only ever have one thing in mind and, more often than not, he successfully left the ball in the opposition net.� He also said our Board were neither sensible enough, nor brave enough, to appoint him as Sunderland抯 manager. Forest fans often recall what a great manager he was, not only in his achievements, but as a person. A friend from my own schooldays once came in on a Monday morning absolutely buzzing. He抎 waited for the players and staff to arrive at the City Ground on the Saturday and asked Clough for his autograph. Clough duly signed and turned to my friend抯 dad, asking him how many of the players had signed my friend抯 book. Not content with a few names, he offered to take my friend round the dressing room to make sure he collected them all! Roy Keane once recounted how Clough had told him to come to the ground on a match day when he was only 16. Roy thought he'd be helping out as perhaps other academy players had, but, at the last minute, Clough told him he was playing. Roy went on to have a great debut, but the next day he was called into the manager抯 office and Clough told him his shoes needed cleaning! Paul Barron recalls an occasion when he was playing in goal for QPR against Forest at the City Ground. He walked off the pitch after a 0-0 draw and as he entered the changing room, somebody kicked him up the backside. He turned around to see Brian Clough, who said: "That'll teach you to keep a clean sheet against me young man." Tony Cascarino tells a story regarding Teddy Sheringham抯 time at Forest. Sheringham was having a sauna after training and in walked Clough to talk tactics with him for about 20 mins. At the time Cloughie was wearing a suit! Brian Clough was a larger-than-life, outspoken, often controversial figure, but certainly one of the greatest managers of the English game - an honour recognised by UEFA in 2017, when they named Clough among the top 10 coaches since their formation in 1954. He will forever be a legend at Sunderland, for his playing ability, and Nottingham Forest, for his managerial achievements. There may never be another like him. 25 years ago, one of football's greatest managers was relegated in his last ever home game on a day of tears and celebration at the City Ground. On May 1, 1993, Brian Clough took charge of Nottingham Forest in his last ever home game as manager. Forest lost 2-0 to Sheffield United - a result that confirmed their relegation from the Premiership. It was an emotional day at the City Ground as fans paid farewell to Clough after 18 years as their boss. Relegation was the final low of a chaotic last season for Clough at Forest - on and off the pitch.The chaos at Nottingham Forest was all against a backdrop of concerns over Clough's heavy drinking. In a BBC interview, his son Nigel - then a Forest player - was pushed by Barry Davies on his father's condition 'The man with the green sweater. An embrace for the law on his last home appearance. Whatever his failings, whatever his foibles, he's been a power of good for the game of football�' Those were the words of BBC commentator Barry Davies on May 1, 1993 as Brian Clough stopped to hug a policewoman after emerging from the tunnel for his last ever match as Nottingham Forest manager at the City Ground. Fans rose to their feet as Clough, who pulled his trademark green Umbro jumper over a red polo shirt, turned right to start his walk down the touchline for the final time, surrounded by photographers. There were more embraces for the policemen trying to hold them back. Clough was 58 then but looks 10 years older, his face reddened after years of heavy drinking. Sheffield United were the opponents for Clough's 993rd of 994 matches in charge of Forest � his very final outing was away to Ipswich a week later. It drew to an end his incredible 18-year spell as one of the most successful managers in British football history. It was a day of tears and sorrow, as well as love and celebration. A nightmare ending, yet a fans' farewell that most managers can only dream of. Clough was the man who propelled Forest to the highest peak during a dazzling period that revived a reputation battered by his infamous 44-day spell with Leeds. This was their incredible ascent: 1975 - appointed manager at Forest, then in the Second Division 1977 - wins promotion by finishing third 1978 - Division One champions 1979 - European Cup champions 1980 - European Cup champions (again) That outrageous sequence would be considered an astonishing burst of success for any club, let alone this red corner of the East Midlands. Fast forward to the grey first day of May 1993 and this was a man whose magic had finally worn off. Forest slid back down to the second tier of English football in the Premiership抯 inaugural season. They slipped out of the top flight with a whimper, losing 2-0 to Sheffield United on the penultimate weekend. Yet, this day was about much, much more than the result. This was the afternoon Clough, the man who led Forest from 1975 to 1993, waved goodbye to the people who had clung on for every twist and turn of an unprecedented, unpredictable journey. The preceding weeks had been dominated by a debate over the nature of his departure, which bears similarity with Arsene Wenger抯 exit from Arsenal. Was Clough really retiring or was he being pushed out? It was a terribly awkward situation for those involved, culminating in this final home match. Nigel Clough � then a 27-year-old Forest forward � was repeatedly pushed on his father抯 exit and health by Davies in a fascinating post-match interview. Clough Jnr suggested his 'age had caught up with him' Forest finished bottom in the 1992-93 Premiership season Davies: 'Is his health good? He doesn't seem to be a well man, it has to be said...' Clough: 'I think age has caught up with him...' Davies, cutting in: 'He's only 58, Nigel. It's not that old, is it?' Clough: 'It is for me! 40 years in this business has taken its toll and over the past 18 months it's caught up quite rapidly.' Davies: 'One or two of us are quite worried about him. Are you?' Clough: 'Not really, as long as he fills his time in well and does a bit of gardening and so on.' A week earlier - and just a month after Clough Snr had been awarded the freedom of the city - he had announced he was retiring amid a backdrop of claims and counter-claims over whether his drinking was 'discrediting' the club. On the same day, Forest suspended director Chris Wootton amid claims he ran a 'dirty-tricks campaign' and had been offering stories of Clough's alleged drinking to newspapers. Wootton denied this but insisted Clough's exit 'vindicated' him. 'Brian Clough has been the best possible manager for Nottingham Forest for many years�, he said 慴ut because of his health, I thought it best for the club and Brian himself for him to consider his position. There has been disquiet among the board for some time.' Clough's lawyers threatened to sue. Forest's chairman Fred Reacher denied it was true and that the manager retained the board抯 support. It was a controversial climax to a chaotic campaign. Their handling of transfers in the summer of 1992 was a mess. England defender Des Walker was sold to Sampdoria for �5million and soon the man who was identified to replace him � the homegrown Darren Wassall � followed him out of the door after a bust-up with his manager Clough. Teddy Sheringham, who scored the first ever televised Premier League goal for Forest against Liverpool in August, was sold just a week later to Tottenham for �1m. Add to this a cluster of distracting incidents � a young Roy Keane being arrested over an incident at a party (released without charge) and later fined �000 after a separate bar-room incident in Jersey while on a club tour, a shareholder vote of no confidence in the board and Clough himself accused of delivering a two-fingered gesture to Forest fans � and you can appreciate just how tumultuous this season was building up to his departure. Clough saluted the fans after returning to the pitch after they had been relegated following the 2-0 defeat by Sheffield United. The departing Clough shook hands with a Sheffield United fan as he was given a standing ovation at the City Ground LINE-UPS - MAY 1, 1993 Nottingham Forest: Andy Marriott, Brian Laws, Brett Williams, Steve Chettle, Carl Tiler, Kingsley Black, Nigel Clough, Scot Gemmill, Roy Keane, Ian Woan, Robert Rosario Sheffield United: Alan Kelly, Carl Bradshaw, Paul Beesley, John Pemberton, Brian Gayle, Charlie Hartfield, Glyn Hodges, Paul Rogers, Mitch Ward, Dane Whitehouse, Brian Deane Goals: Hodges (30), Gayle (73) Referee: Paul Durkin Attendance: 26,752 'I think it's disgraceful', said a man flipping burgers in his van parked outside the City Ground. 'It's the first bad season we've had in five or six years and suddenly everyone is calling for Clough to be resigning. I think we should stick with him, give the man a chance and hope they do well next year.' Soundbites from other sympathetic supporters included 'one bad season doesn't make him a bad manager', 'he's the best thing that ever happened to Nottingham' and a bemused 'I don't know what to do without him really'. A lady in a pointed Forest hat was holding back tears as she said: 'I've just taken him some flowers but they wouldn't let me give them to him because he's in the bath. So I said I could come in and scrub his back.� Police had advised Forest抯 players � eventually beaten by goals from Glyn Hodges and Brian Gayle - that they should hurry off the playing field at the full-time whistle to avoid being caught up in a pitch invasion. Keane was one who ran off down the tunnel, with Clough already making his way down for what he thought would be the final time. Son Nigel, however, ignored the advice and remained on the pitch to applaud the supporters. 慞olice said before the game to get in as quickly as you can�, he later told Davies. 態ut I think on a day like this, when there's been absolutely tremendous support all season, it's only right that we should stay out and give a small gesture of our thanks.� Back out in the stadium, fans refused to leave until Clough returned for one last goodbye at the City Ground. One banner simply read 態rian Clough is a football genius�. With his green sweater still on and a young fan trying to drape a Forest flag around his shoulders, Clough � again flanked by photographers - marched over to the Executive Stand (later to be renamed after Clough) where his name was being chanted. There were thumbs up as he was engulfed by hundreds of supporters on the pitch. This would be his final farewell to the adoring masses. The end of 18 years on one of football抯 most compelling journeys. Brian Clough was given a huge send-off by the home fans - despite defeat confirming their relegation from the Premiership After he finally departed for the final time, Clough spoke to Davies in front of a white brick wall inside Forest抯 tunnel, a world away from today抯 kaleidoscope advertisement boards. Asked what he was going to do next, Clough paused for thought before telling Davies: 'I'm going to spend boring minutes talking to people like you - that's what I'm going to do! 慛o, I'm not. I抦 going to walk around and look after my grandchildren. I might even come to a football match, actually.� He then politely added: 'Barry, could you excuse me. Thank you for asking me to be interviewed. I'll go back to my wife Barbara and my grandchildren.' 'It's been a pleasure knowing you, sir�, replied Davies. 慐njoy your retirement.' The pair � one a titan of football management, the other a master of football commentary � then shared a tender embrace. Clough was holding back the tears, but the years had finally caught up with him.